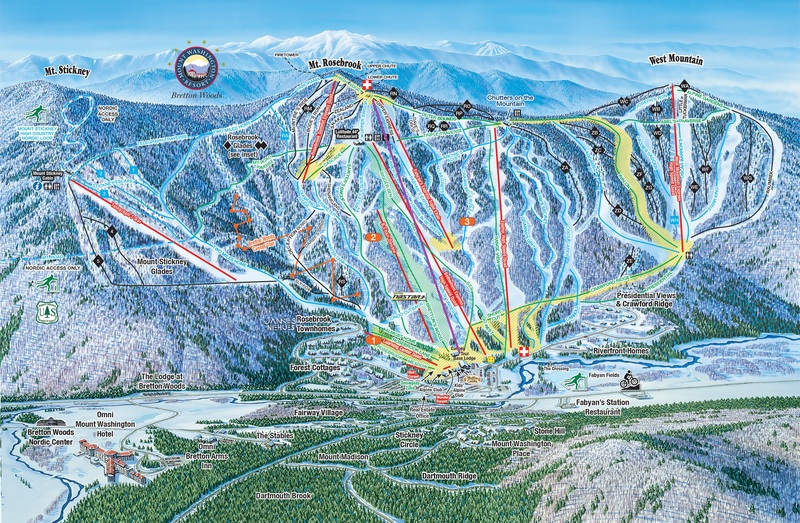 By David Schissler – Bretton Woods is one of my favorite Eastern ski areas. The long cruisers, award winning grooming and nothing short of spectacular views of Mt. Washington keep bringing me back. It also factored into why the White Book makes nearby Lincoln, NH its winter home. Now there’s another reason to get to Bretton Woods this season. 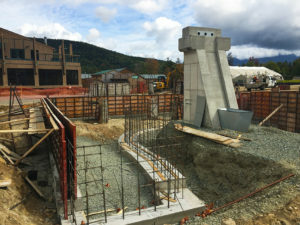 They’re in the midst of installing the Presidential Bahn, an 8-passenger gondola, New Hampshire’s largest based on the capacity of each cabin. 36 cabins will move approximately 1,500 riders per hour, cover 6,000-feet in length and rise 1,300 in vertical. With a speed in excess of 13 mph the ride up will take just under 5-minutes. The Gondola’s route will rise from the base area, cross over the Bethlehem HSQ to the top of where the Fayban’s Express triple chair used to be. I say used to be because Fayban’s top terminal has been lowered about 150 feet to accommodate the top terminal of the gondola. The mountain wanted to keep the gondola’s top terminal below the skyline to preserve the esthetics from the valley. Since Bretton Woods is a 4-season resort the gondola will turn all year. The Latitude 54 lodge and restaurant, which sits just below the summit at the top of the Bethlehem Express HSQ is also being improved with a 2019 targeted opening. It will be a two-story, 11,000 sq.ft. facility with seating for 149 on the first level and 30 seats designated for “private dining”. The cost of the new gondola and restaurant upgrade is in the vicinity of $15 million.